Lilly is here to visit for three days and I'm so excited. I put away all my stuff and I've committed to do nothing but play and have fun with her. Part of our day was a trip over to the Kids Konnection park in Abita Springs. (A most spectacular park). 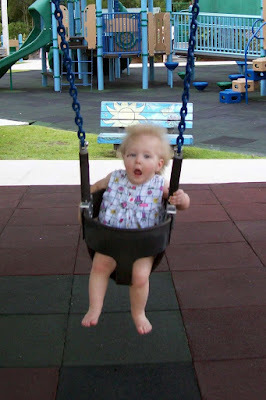 Nikki, Lilly's momma, said this would be her first time in a swing ... at first, she didn't know what to think, but then she caught on, and I think, had fun. 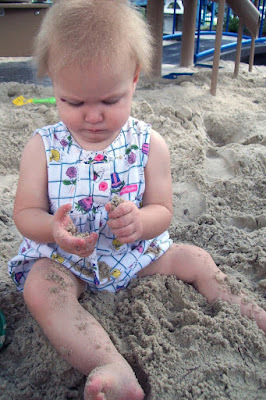 We also had a good romp in the sandbox ... I sure love this girl.